Members of UK's General Optical Council (GOC) gathered in London on November 15th to go over the latest research on driving and vision. In addition to going over recent survey data, the GOC developed information on how opticians can best report patients to the Driver and Vehicle Licensing Agency (DVLA). 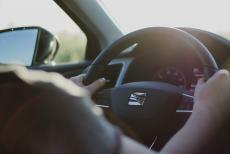 GOC researchers sent out almost 4,000 surveys on driving and vision to registrants across the UK. Amazingly, 83 percent of respondents said the UK's current laws on the acceptable range of vision for driving weren't good enough for the modern era. About 40 percent of respondents said the UK should force all motorists to pass vision tests every few years. One of the major issues opticians have with reporting patients to the DVLA has to do with patient confidentiality. 73 percent of respondents to GOC's survey said they didn't feel comfortable telling the DVLA whether their patients met the visual standard for safe driving. Just above 55 percent of respondents admitted that they didn't know where to draw the line between patient confidentiality and public safety. After going over all of this data, the GOC started work on putting together supplementary guidance for opticians. This guidance should help opticians know the DVLA's current vision policies for driving in the UK and let them know when to contact the DVLA about a patient with poor vision. While members of the GOC are working hard to give as thorough guidance as possible to opticians, they admit that many of these cases are a judgment call on the doctor's part. People at this GOC meeting said every situation an optician faces will be unique and should be treated as such. The GOC is headquartered at 10 Old Bailey in London. Anyone can contact this organization using the phone number 44 (0)20 7580 3898 or email address goc@optical.org.